Now that recreational marijuana use is legal under state law in both Colorado and Washington state -- in conflict with federal law -- one Democratic senator is asking the Obama administration to finally explain how it plans to respond. 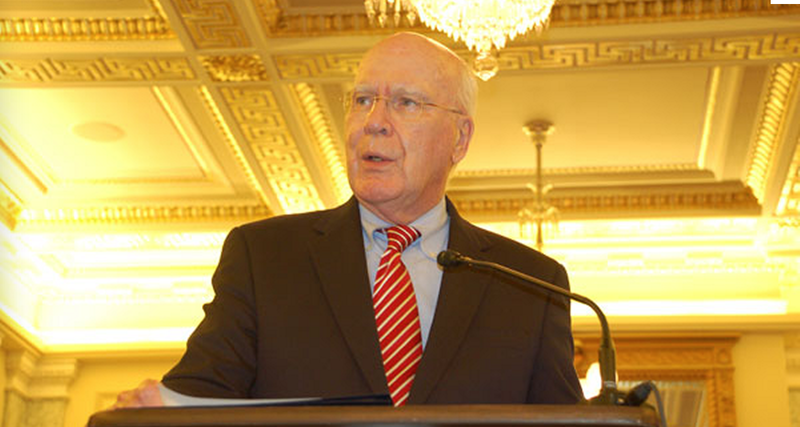 Senate Judiciary Committee chairman Patrick Leahy, D-Vt., released a letter sent earlier this month to Gil Kerlikowske, the Director of the Office of National Drug Control Policy (ONDCP), asking him how his office plans to advise the Justice Department and other federal agencies on the matter and how his office will prioritize resources to respond to the conflict in law. "What assurance can and will the administration give to state officials involved in the licensing of marijuana retailers that they will not face Federal criminal penalties for carrying out duties assigned to them under state law?" Leahy asked. Washington and Colorado lawmakers are in the process of setting up regulatory systems to allow for the legal sales and taxation of marijuana, even though marijuana possession is still in violation of the federal Controlled Substances Act. The administration has yet to say how it will respond, but it has a number of choices: Its options include taking a hands-off approach and letting the states proceed, enforcing the federal law itself and raiding state-sanctioned marijuana sellers once they're established next year, or suing the states. "Legislative options exist to resolve the differences between Federal and state law in this area and end the uncertainty that residents of Colorado and Washington now face," Leahy wrote. "One option would be to amend the Federal Controlled Substances Act to allow possession of up to one ounce of marijuana, at least in jurisdictions where it is legal under state law." In addition to seeking answers from Kerlikowske, Leahy announced the Judiciary Committee will hold a hearing early next year to consider the federal government's options. A number of lawmakers have, in fact, introduced legislation to amend the Controlled Substances Act to exempt its enforcement against marijuana in states that have legalized the drug. Ethan Nadelmann, executive director of the Drug Policy Alliance, commended Leahy for his inquiries, noting that the Senate has had little to say with respect to marijuana policy over the years, even as 18 states and the District of Columbia legalized medical marijuana. "Ending marijuana prohibition not just in the states but also nationally is going to require the sort of leadership that Senator Leahy has just demonstrated," Nadelmann said. "Now is the time for his colleagues to stand up as well in defense of responsible state regulation of marijuana for both medical and recreational consumers."